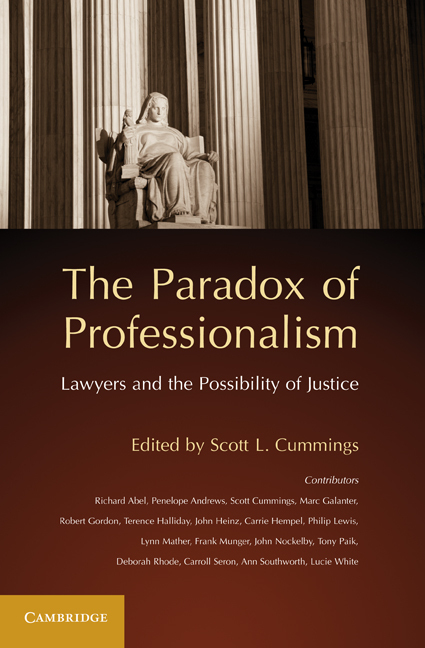 Scott L. Cummings is the author of The Paradox of Professionalism: Lawyers and the Possibility of Justice (2011). He is a Professor of Law at the University of California, Los Angeles, where he is also the faculty coordinator of the Epstein Program in Public Interest Law and Policy. He specializes in the legal profession, law and social change, and economic development.